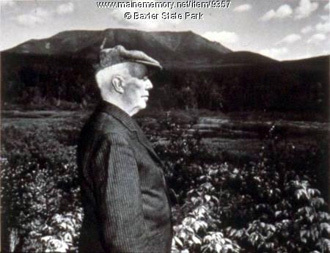 A former Maine governor and man of means, Percival Baxter bought a mountain in 1930 solely to give it to the people of Maine. It wasn’t just any mountain, but the mile-high Mount Katahdin, the highest peak in the Pine Tree State. Though no one knows for sure, the seeds of Maine’s greatest story of philanthropy, Baxter State Park, likely happened in the winter of 1903 in the tiny Maine town of Staceyville. Percival was 27 and spied the majestic Katahdin while out with two friends. “That mountain should belong to the people of Maine,” he allegedly uttered. At age 55 in 1931 that vision was achieved. He deeded the 6,000 acre parcel to the state of Maine with the condition that it remain “forever wild.” Yet that was simply the beginning. With the determination of a life’s work, he used that act as a springboard, embarking on an ambitious plan to acquire more vast swaths of timberland, mountains, streams and remote ponds surrounding Katahdin to preserve it all for the people. He would spend the next thirty-one years negotiating and piecing together the parcels, until, in 1962, he had acquired a beautiful block comprising a little over 200,000 acres. It would be an understatement to say Maine owes a lot to the Baxter family. Percival Proctor Baxter (1876-1969) served as governor from 1921-1924. However the story really begins with his father, James Phinney Baxter (1831-1921), a self-made man who amassed a fortune in the canning business. The elder Baxter left his son the resources to acquire a mountain, and perhaps more importantly, the inherent trait of philanthropic resolve. If you’ve been to Portland, Maine’s largest city, you’ve likely seen the elder Baxter’s lovely Baxter Boulevard, a scenic road and accompanying pathway encircling Back Cove, a tidal pool on Casco Bay. 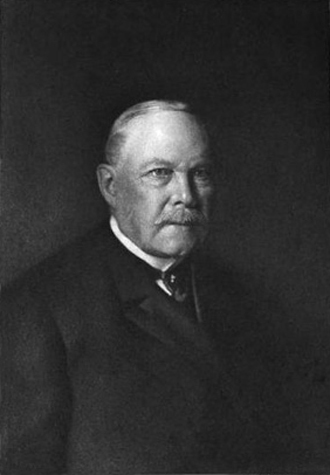 A lifelong Republican and prohibitionist, James Phinney Baxter’s accomplishments include serving as mayor of Portland for six terms, a founder of the United Way charity (he was not the sole founder), bank president and creator of Portland’s first public library. He also preserved scenic vistas by the sea that became city parks on the east and west ends of the Portland peninsula. With the city in good shape, Percival Baxter, the next-generation, set his vision on the vast swaths of Maine’s northern forest. At first he hoped to partner with Maine government in his park plan. 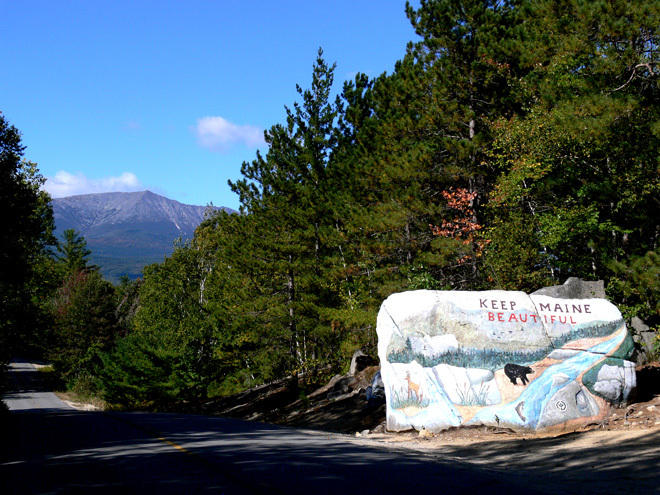 As governor he introduced legislation for a Katahdin state park, but it failed to pass. Baxter realized he was largely alone in his quest. Baxter’s vision of a wilderness park was not particularly popular. After all, most of Maine was already tree covered, sparsely populated and full of wildlife in the early twentieth century - a time long before the Earth Day movement. Many felt using state monies for conservation was unusual and simply unnecessary. Consider the setting. In the early 1900s, the Katahdin region was home to the largest paper mill in the world, Great Northern Paper. Baxter was faced with trying to pry the pulp and paper industry from its vast stores of fiber. With much of it already treeless (above tree-line), Katahdin, a rocky, largely inaccessible place to log, was one thing to acquire from these industrial interests. However, the flatland surrounding its base that was just chock-a-block full of trees was another matter entirely. Undeterred and coupled with considerable political and business acumen, the man of vision resolved to use his family fortune. His piecemeal plan ultimately succeeded through complicated land swaps and a few necessary concessions. Some northern parcel deals required hunting and logging to be allowed, but today, 75 percent of the park holds true to his vision of “forever wild” and is off-limits to hunting, logging and road building. Baxter, a conservationist well ahead of his time, ultimately deeded twenty-eight parcels to the state. A humble man, Baxter died in 1969 at age 92 and left a $5 million trust for park maintenance and the future acquisition of land. As was his wish, there was no funeral upon his death. His ashes were simply taken by plane and scattered over the majestic Mount Katahdin. In two weeks, Don writes about hiking Katahdin, the jewel that sent Percival Baxter on his quest to preserve the region back in 1903.